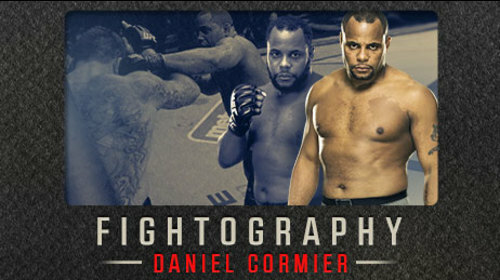 Every month Fightography focuses on a single fighter or seminal moment in MMA history, digging deep into the DNA of the sport. 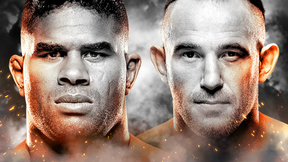 Plus, Fightography collects every relevant fight – win, lose or draw – in FIGHT PASS’s vast fight library for an unparalleled retrospective of each subject. 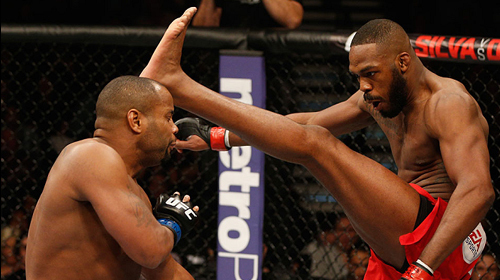 Jon Jones vs. Daniel Cormier UFC 182 Jan 3, 2015 (46:33) After defeating Dan Henderson in early 2014, two-time Olympic wrestler Daniel Cormier said he was willing to wait for a shot at UFC light heavyweight champion Jon Jones. 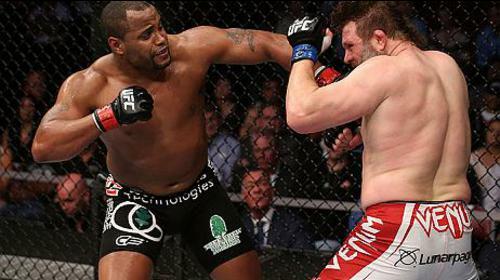 On January 3rd, 2015, the wait was over, as Cormier challenged the pound-for-pound king in the main event of UFC 182 in Las Vegas. 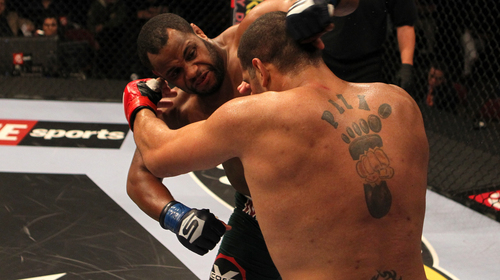 Daniel Cormier vs Dan Henderson UFC 173 May 24, 2014 (31:10) Unbeaten Daniel Cormier faced light heavyweight legend Dan Henderson at UFC 173. Daniel Cormier vs. Patrick Cummins UFC 170 Feb 22, 2014 (12:42) Former Olympian Daniel Cormier made his light heavyweight debut against Patrick Cummins. Daniel Cormier vs. Roy Nelson UFC 166 Oct 19, 2013 (31:11) Bad blood boiled over into a heavyweight brawl as durable Roy Nelson and undefeated Daniel Cormier clashed at UFC 166. 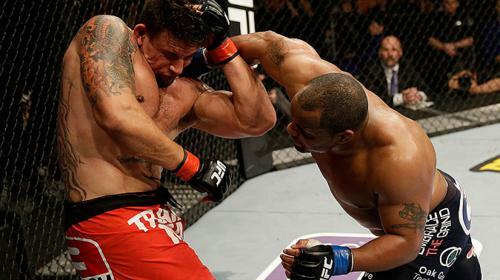 Daniel Cormier vs. Frank Mir UFC Fight Night Apr 20, 2013 (18:09) A rising standout in the UFC's heavyweight division, Daniel 'DC' Cormier took his perfect 11-0 record into the Octagon against former UFC heavyweight champion Frank Mir. 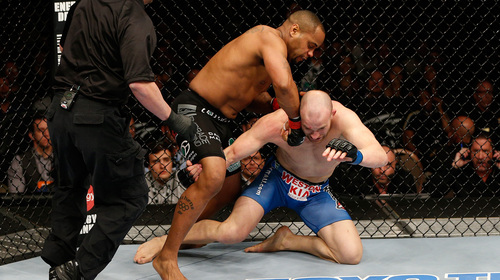 Mir was looking to bounce back from the interim title loss to Junior Dos Santos at UFC 146. Daniel Cormier vs. Antonio Silva Strikeforce: Barnett vs. Kharitonov Sep 10, 2011 (15:41) In the Strikeforce Heavyweight GP semifinals, former EliteXC heavyweight champ Antonio "Bigfoot" Silva, who had 14 of his 16 wins come via stoppage, was set to scrap with former 2x US Olympic wrestler Daniel Cormier, who had a perfect 8-0 MMA record. Daniel Cormier vs. Devin Cole Strikeforce Challengers 13: Woodley vs. Saffiedine Jan 7, 2011 (21:07) Taking to his new sport quite nicely, former 2x US Olympic wrestler turned undefeated in MMA wrecking machine Daniel Cormier was set to take on his first cagefighting veteran in Devin Cole, an 18-8-1 pro with former NAIA All-American wrestling honors. Daniel Cormier vs. Gary Frazier Strikeforce Challengers 3: Kennedy vs. Cummings Sep 25, 2009 (21:13) Dueling Strikeforce and pro MMA debuts, former 2x US Olympic freestyle wrestler & latest American Kickboxing Academy product Daniel Cormier entered the cage for the first time against former 2x Oklahoma high school state champion wrestler Gary Frazier.